I’ve seen some of the $36 million in negative ads special interests have run against Democrats in the fight for the Senate. I’ve seen the vicious attacks against President Obama and his allies like me. I know how quickly this race could tighten. Possibly the first honest realization and statement ever to come from Dianne Feinstein! Please woman put a sock in it! Perhaps you have forgotten the millions of dollars you and your ilk have spent doing the same. Remember the spot run showing a look a like of Paul Ryan, (R-WI) pushing granny over the cliff in her wheel chair? When a party bereft of accomplishments has nothing to run on it comes up with out right lies. Republicans are not planning to privatize Medicare per se. 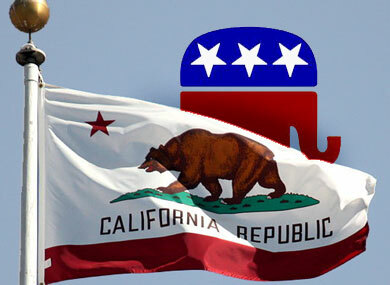 Unlike the cowards of the progressive movement who will not touch the issue, Republicans have put options on the table. No American who is near receiving Medicare or currently receiving medicare will be pushed into anything. The Republican plan is to fix it keeping it solvent while the democrats offer no plans and live among their shared delusions. This is the same scare tactic they have used with Social Security. Factually, no one receiving monthly checks will be denied. Younger people will be offered an opportunity to stay in the traditional system or opt out with 1/3 of their contributions going into an IRA type system. If you desire continued failing ideas, by all means vote democrat. If your interest lies with solving our fiscal insolvency then your best bet is to vote Republican. My focus is on fighting to make progress for California families. But I need you to focus on preparing for what could be a fierce battle between now and Election Day. No, Mrs. Feinstein’s focus is and always has been to raise taxes thus driving businesses from the state as well as overseas. 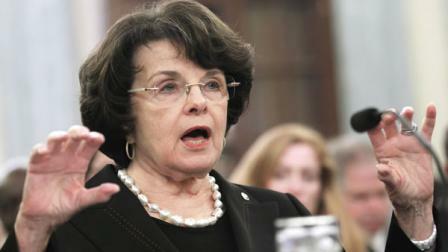 Feinstein’s understanding of taxation and its relationship to job creation is woeful. We only have one chance to hit this $50,000 goal. And I need your help to get there. We’re $10,850 away, will you get us $10 closer today? That’s not likely to happen Dianne. It’s axiomatic in the private sector when hiring people, a great predictor of future success is past performance and the record of success. Dianne Feinstein has been abysmal. It’s time to fire Feinstein and hire Elizabeth Emken the candidate eminently more qualified than the current ceremonial senatorial seat warmer, Dianne Feinstein. Feinstein represents yesterday’s news, while Elizabeth represents the future. All the attacks and all the polls and all the money in the world won’t knock me off course. There’s only one way I know how to do my job: focusing on moving forward. Come on Dianne, do you write this nonsense or does someone sharing similar delusions do so? “Focusing on moving forward?” with the rarely mentioned state’s government sector pension program is at $62 billion according to an actuarial report done for state Controller John Chiang. But I’m not taking lightly the trouble that’s lurking around the corner. We’ve already seen the attacks increase, both in number and in nastiness. And we know the other side can spend whatever it wants, and that they’ll say whatever it takes, in their quest to destroy this President and people like me who have stood with him. Apparently Mrs. Feinstein is unfamiliar with the phrase, “Beating a dead horse.” The soon to be retired senator has made some extraordinarily bad decisions in her career and being the follower that she is, backing Obama may turn out to be the worst of them. The anti incumbent fervor in the entire country is boiling over. Since the days of President Eisenhower, when the economy is in the tank the undecided voter has voted against the incumbent. Are you ready to join the winning team? 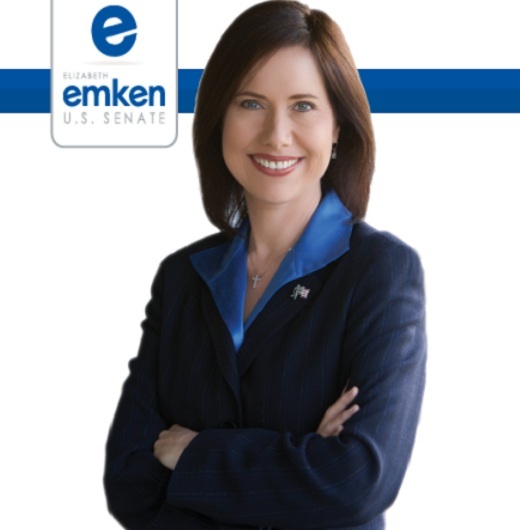 Join Team Emken! I’m not afraid of a tough fight. But I’m not about to let the other side get a leg up, no matter how much money they have or how low they’re willing to sink. Here she goes again begging for money. We’re $10,850 away from our fundraising goal, with just 4 days to go. We have to get there. And we can’t do it without you. HA! Help me fight back — make a contribution today and let’s hit that $50,000 goal out of the park. Thanks for staying focused on moving forward.